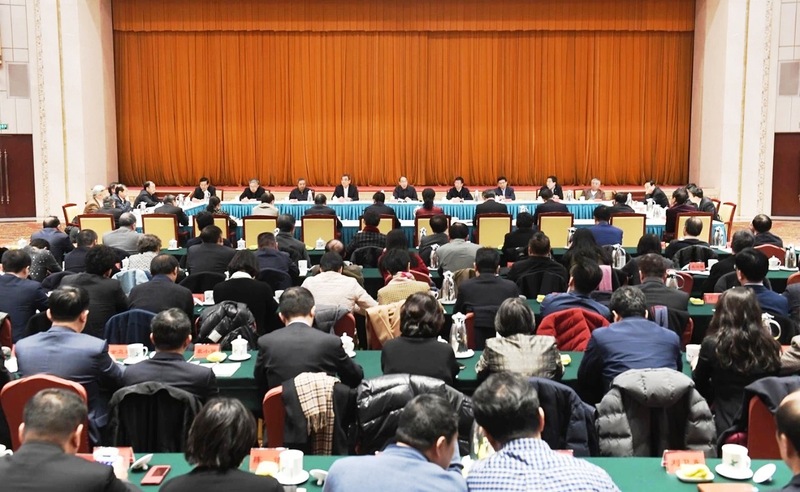 On the morning of February 18, 2019, the United Front Work Department of the CPC Central Committee held a meeting for the appointment of Experts Group on Advice of Intellectuals outside the Party in Beijing. Chairman of CAMCE Luo Yan was appointed as the Deputy Leader of the Industrial Group. Vice Minister of the United Front Work Department of the CPC Central Committee Zou Xiaodong attended the appointment meeting and delivered a speech. In the afternoon, the United Front Work Department of the CPC Central Committee held a meeting for the exchange of opinions and suggestions from Non-party Personages and Intellectuals outside the Party. Secretary of the Secretariat of the CPC Central Committee, Minister of the United Front Work Department of the CPC Central Committee You Quan attended the meeting and delivered a speech. Experts Group on Advice of Intellectuals outside the Party of the United Front Work Department of the CPC Central Committee consists of 10 groups, including the Economy, Agriculture, Industry, Finance, Society and the Law, etc. Since the 18th National Congress of the Communist Party of China (CPC), 46 pieces of results of Experts Group on Advice have been reported to the CPC Central Committee, and 44 pieces have been approved and instructed by Leading Comrades of the CPC Central Committee, and some of the suggestions have been incorporated into relevant policy documents. The experts take practical actions to fulfill the mission of Intellectuals outside the Party for our country, to be of the same mind with the Party and to keep pace with the Times.